By Adam Thomas Applebaum, I have played RPGS Since the 1990's when such games were more popular than they are today. 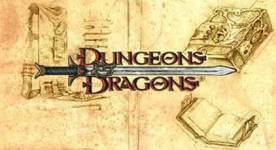 This article it my personal opinion of the some of greatest roleplaying games of all time. The first rule is only one game per franchise. The second rule is that the games must be for a video game console.The third rule is that the games have to have elements of an RPG. The fourth and final rule is that the chosen games for this list must have at least one or more elements that are different from what is expected of the franchise or be games few people talk about. To put it in simple terms I am looking for games that are good because they are underrated for what they provide or deviate in any way from ones typical idea of an RPG. To make it even harder to compile a list, there will be no games that allowed for downloadable content to finish or enhance the game. There have been a handful of people who dismissed this game to be "just another shooter." Any roleplaying gamers worth their salt are more than familiar with this generation defining, time traveling, level grinding, convoluted storytelling game. You star as a character named Crono and you go on an adventure with your friends in the Year 1000 A.D. As your adventure goes on, you find out that your goal of the game is to destroy a monster named Lavos. Although the concept itself seems basic, one of the most defining elements of the game would have to be the Battle theme for one of the bosses named Magus or the final battle with Lavos where you can fight it as it mocks every foe you faced thusfar before letting you inside. 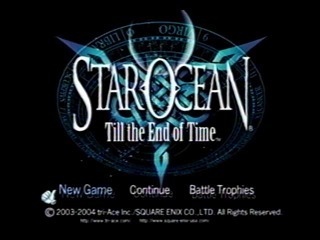 Additionally as is told to the player in game " the longer you remain in the end of time the harder it will be to change what must be changed." That's right the game is programmed to get harder the longer you play it or at least seem harder. This is especially true should a player beat it once then select New Game + to get the alternate endings on the start up screen. Also monsters are fought inside buildings rather than outside of them. Game performance is smooth and there is really nothing bad I can say about this game. Breath of Fire II continues where its predicessor left off. You start as an orphan child whom everyone loves who after trying to save your childhood friend from a monster in a forest return to the village to find that everyone there suddenly hates you. It is not made completely clear why this is the case but, I have a strong suspicion it has something to do with the God you are supposed to fight at the end of the game as you did in its previous game. Battle music was of incredible quality, enjoyable and varied depending on your enemies formation. That is if your enemies were in a cross counter formation as the game calls it it has a different battle theme. Additionally different areas also have their own theme on the overworld and each boss has its own boss theme. Even final fantasy seldom goes beyond one or two different boss or battle themes so it is hard not to admire such effort to make a stand out sequel RPG. In Star Ocean Till The End of Time you are Fayt Leingod, an Earthling on vacation on a planet called Hyda IV. What starts as a simple vacation quickly turns into a battle for survival against Vendeeni, Thugs, and entities from beyond our dimension. Unlike most RPGs it and other games within the franchise have loads of side quests where you can collect stuff to help you in the game as extra stuff. Private Actions are text selections you make when interacting with your party members. Depending on which option from a list you choose, the ending can vary. While the core ending of the game won't change you will see different couples with each of your party members depending on the P.A. 's you participate in and there is even a choice of 2 others that if skipped or seen will determine who will travel with you off Elicoor II. So out of everyone you meet in the game you won't get to bring everyone. At least one or two will have to be temporary members. These variations though seemingly minor can make all the difference to your battle strategies and character endings. There are so many mini games within the game that replay value is there for "completionists." Like the other two video games this one has a very impressive list of in game music for battles and other situations. No roleplaying game would be complete without at least one final fantasy game on it. I realize alot of people probably won't agree with my choice on this one because they are final fantasy VII fanboys. Hear me out on this one. 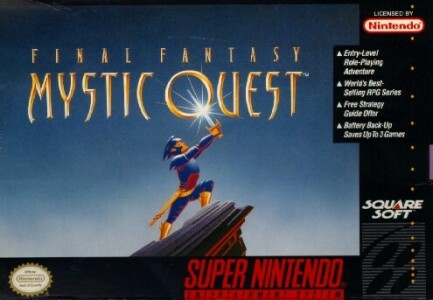 Final Fantasy Mystic Quest is one of the few games within the franchise that didn't have a number associated with it and would be questionable as to its relation in the timeline. Other similar deviations include Final Fantasy Crystal Chronicles, Final Fantasy Chocobo's Dungeon and final fantasy tactics. In mystic quest the starting scene admittedly fills the average gamer with a few questions. As far as gameplay mechanics go its pretty standard fight magic or run on the menu screen. 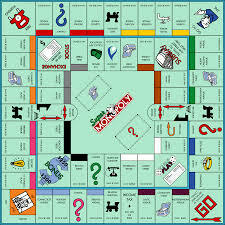 However one thing that stands out to the player almost immediately is there is only room for two players to battle at one time so you will only get one partner as the hero in each level of the game. Your goal is to collect 5 Crystals and kill the final boss. Of the final fantasy games I would think this was the easiest. Unlike the others even though you have to beat every creature in the area to advance and they respawn if you leave, However as long as you bring plenty of potions and use the inns and other items you shouldn't have to grind alot of levels. Despite what some may call limitations that I mentioned it is a really good game. The most memorable part of this game would have to be the music in it. The startup screen music is different than what a final fantasy gamer is accustomed to and if you really play rpgs for the music the battle and boss music won't disappoint. When I was 10 and I finally got an N64 for my birthday you could only imagine how excited I was in the year 2000 C.E. 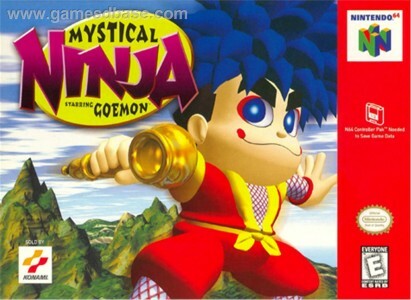 One of the games I owned and frequently rented from Blockbuster at the time was Mystical Ninja Starring Goemon. Unlike many other RPGs in this list this was an rpg where one could freely move around as you hacked and slashed at enemies. Although the style of gameplay felt alot like Legend of Zelda one feature that really stood out was that you could with a simple press of a button switch between the main character and the each member of your party. If you ever got lost along the way you could consult with a fortune teller rather than buy a strategy guide. The game even included a series of battles in which you can control a giant robot named IMPACT against at least two other bosses in the game. Despite never finishing the game ever due to my data not being saved properly, I seldom got tired of playing aspects of the game over and over, each time trying to get that much closer to the end of it before I got tired of playing and had to turn it off. 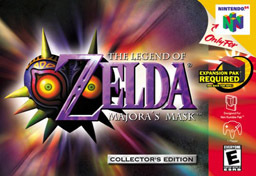 There has been some debate as to whether this can even be considered a cannon game to the Legend of Zelda Franchise. That limitation aside the series as a whole was probably worst offender when it came to being such a vexxing puzzle RPG that a player would either have to buy a strategy guide to get through a particular area of the game or spend hours trying to figure it out on their own to no avail. As for this particular installment your goal is to stop a moon from crashing into Termina within three ingame days. This may sound impossible given the puzzling nature of the series without intense frustration, however you do at some point learn a song of time which you can use to slow time and even go back to day one of the game if you lack the time to finish your quest. Although this resets all the bosses you would need to beat you still keep your masks and certain key items you had collected up to that point. This was one of the few times in the series at the time when Gannon or Gannondorf or someone trying to resurrect him was not the final boss fight. If one were to do a symbol lookup for every interaction within the game, the story can seem bigger than itself. 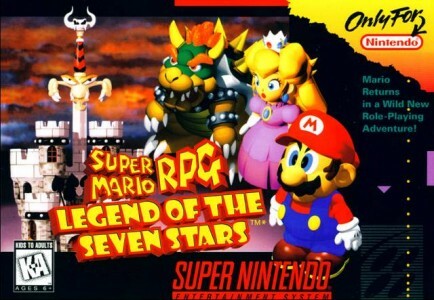 Super Mario RPG for the SNES was one of the few 3D video games ever released for the Super Nintendo Entertainment System. Not only that but it was the first turn based roleplaying game in the Mario series. Any mario gamer would naturally expect that the end boss for this game would be King Koopa or Bowser as he is known in the current games. They would be wrong. Although you do fight him at the beginning of it, the quest is to save the Mushroom Kingdom from Smithy, a giant sentient sword. Mario doesn't go it alone this time as Princess Toadstool and Bowser are playable characters that will join your party in this game. There were even a couple other characters created just for this game, Geno and Mallow. Mallow is a cloud prince and Geno is a doll inhabited by a star spirit. What alot of players don't know is there is a character from Final Fantasy II for the SNES named Culex that can be unlocked in the game. It is the only battle in the game to not only borrow the character but the boss theme for a final fantasy game. Pokemon Coliseum was the first pokemon game in the franchise released by Nintendo and Game Freak to allow a player to capture other trainers pokemon. A player may only capture another trainers pokemon if they are shadow pokemon that need to be purified and unlike its sequel Pokemon XD Gale of Darkness, you cannot capture wild pokemon at all. Your goal in this game is to capture and purify pokemon who have been turned evil by Cipher and Team Snag Em and beat the leader of both organizations. Unlike the game boy versions of pokemon all of the battles you engage in will pit two of your pokemon at a time against two of your opponents pokemon at a time. So for those familiar with pokemon games that means Double Battles only. The exception being if all but one of your pokemon are fainted when you enter battle. There are no gym leaders in this game or elite four in this installment of pokemon. Like all other Rpgs mentioned its musical quality and catchiness does not disappoint. I am aware that alot of people will disagree with me classifying Animal Crossing as an RPG. They will disagree because they feel that only fighting games can make an RPG list. 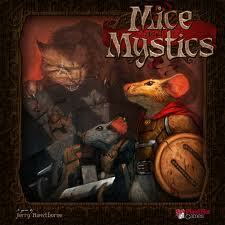 This is not the case because a roleplaying game as its genere title suggests is one in which one undertakes a "role." It is also a life simulation game. Your goal in this game is to grow a village by interacting with animals and earning bells to pay off house upgrades and buy other items including shirts, furnature and even classic video games. These classic video games can be played within the main game and aren't just for decoration. The in game music changes with each hour of everyday and the game plays when you don't. Unfortunately future animal crossing games omitted the in-game video games. I was tempted to use Harvest Moon 64 as it was my favorite non combat rpg for the N64 at the time but I decided my idea of a top ten list must include primarily games that deviated in some small way from the expectations or limitations of the other games in the franchise. Rune Factory: A Fantasy Harvest Moon does not fall short of that standard at all. Rune Factory: A Fantasy Harvest Moon is one of the few games in the Harvest Moon franchise to allow you to fight and tame monsters and care for them instead of raise regular livestock. Your goal in this game is to stop an evil military organization called " The Sechs Empire" from taking over a rural town. If that weren't a cool enough concept, Raguna the main character lost all memories except for his name. Rune Factory maintains elements of the other harvest moon games as well. Besides the main goal of the story there are events in the town, places to recouperate energy and bachelorettes to marry. In my case my character married Mist who was the first person you meet in the game. Mist makes some pretty bizarre lunches for your character each day that are probably worth a laugh or two. She also had a habit of always appearing before a boss fight even before my character married her and once a day at his farm for no clear reason. Not to sound like a broken record but, the battle music is also catchy just like the rest of the games in this list. Each of these games has their own elements that make them special. I find it difficult to critique a hierarchy for this genere as there are so many cool games and so few I've ever had the privilege to play to the end. The criteria listed in the introduction of this article was only used to filter out games from franchises that made sequeling games in a series and did not make a significant impact on the order the games appear in on this list. 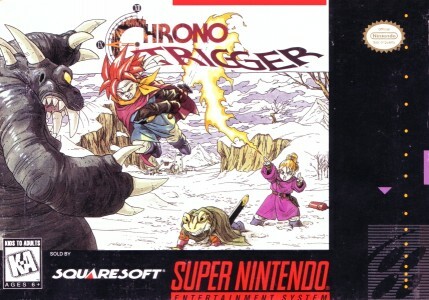 Chrono Trigger made the top of the list because it is a game that allows you to travel through time and change the past, present and future. 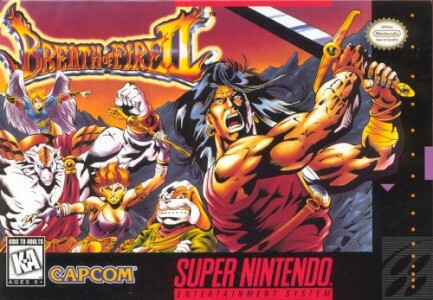 Despite the other games having similarly cool aspects that are expected of RPGs this one set the standard for all roleplaying games with every element included in the game straight out of the box. 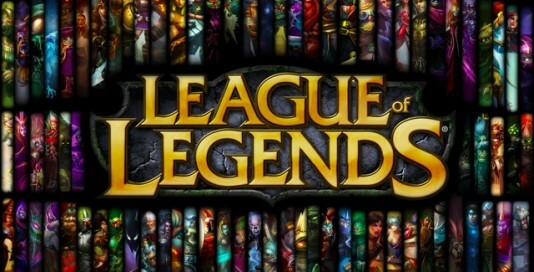 The best RPG's and MMO-RPG's of all time.